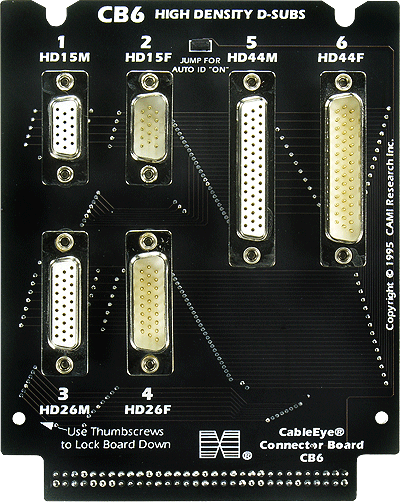 Each board includes connectors for HD15 male and HD15 female (used on video boards and monitors), HD26 male and HD26 female (used in networks and high-speed communications), and HD44 male and HD44 female (used in communications and control applications). Connectors have machined, gold-plated pins for many insertion cycles. Set of two boards.